And zOMG, am I ever excited for this week's selection. Pins and needles, y'all. Pins and needles. "From the international bestselling author of Rebel Queen andNefertiti comes a captivating novel about the infamous Mata Hari, exotic dancer, adored courtesan, and, possibly, relentless spy. From Indian temples and Parisian theatres to German barracks in war-torn Europe, international bestselling author Michelle Moran who “expertly balances fact and fiction” (Associated Press) brings to vibrant life the famed world of Mata Hari: dancer, courtesan, and possibly, spy." Michelle Moran is only one of my favorite historical fiction authors, and authors in general. 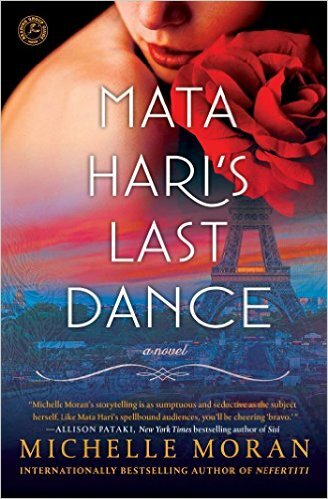 I can not WAIT for Mata Hari's Last Dance. I already have my copies pre-ordered and everything. Are you planning on reading it?